A resilient understanding of the decimal place value system is a crucial element of primary mathematical education that has a deep impact on further arithmetical development. Place value understanding has been identified as a good predictor of math performances as well as math difficulties. 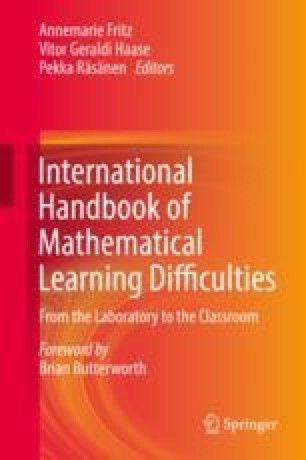 Difficulties in understanding the place value system affect children in different grades in countries all over the world. Prior and recent research has been focused on ordinal counting schemes and computing strategies. Much attention has been given to transcoding procedures that transfer numerals, number words, and magnitude representations to each other. However, the cardinal aspect of bundling and unbundling has not been taken into account. In this chapter we aim to present a sequence of levels of concepts that describe children’s development of place value understanding. The presented sequence integrates aspects of counting and bundling—in particular, regarding nonstandard partitions. Bundling tasks seem to be more crucial for place value understanding than transcoding tasks. Our own recent empirical studies underpin the hierarchy of the sequence levels.